A quick project for a friend – somehow I am the designated card maker for her office staff. Using the tow truck from Nate’s ABC’s, the cake from Birthday Bash, and the sentiment from Birthday Bash, I styled a little card for her practical (engineer) boss. My favorite part is that the “hook” was able to “lift” the cake via the “flame” from the candle. 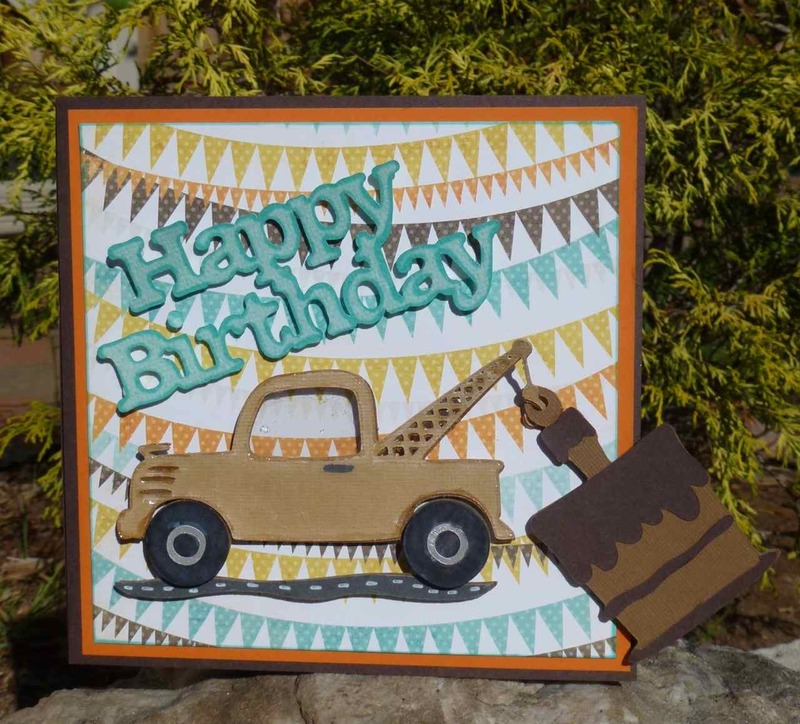 I love the textures and the colors which evoke fall without a leaf or acorn (not that I don’t like them) but this is a birthday card….with a tow truck….and a cake. Holy Cow! How creative!!!! Love it! This is awesome,what a great card!! Love that the truck is towing the cake! Maybe the fact that you make awesome cards is why you are the designated cardmaker!! Just sayin’ lol.Really great card :D.
Hey! This card was featured as the Project of the Day on the Cricut Circle Blog today (Nov 11)!!! Congrats!! This is just adorable, I love what you did with the tow truck towing the cake, how clever! !